This afternoon I would like to talk to you about table Plans….not the pretty side of table plans, but the actual logistics of putting a table plan together. As I have said before guests at a wedding can be the bride and grooms biggest stress, who to invite, getting back RSVPs, and when those RSVPs come in where to seat them. 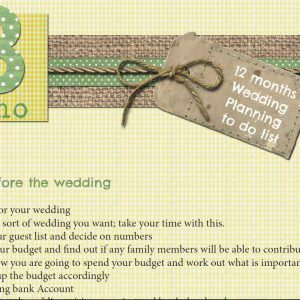 I know first hand talking to brides that figuring out the table plan can be a logistical nightmare, BUT there is a cheep and easy piece of soft wear that make the job SO much easier in the form of Top Table Planner. Admittedly when I got married I only had 35 guests so it wasn’t to much of an issue but when you have numbers over 50 that is where the problems arise. Some guests having 150-200……well you can imagine how hard it all becomes. 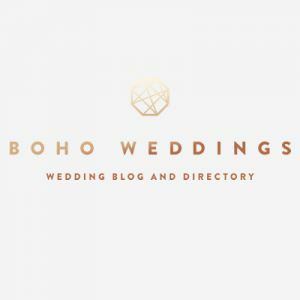 Adam Layton the man behind Top table Planner is here today to tell you a bit more about his product and also to offer you some handy hints on the Dos and Don’ts of putting together a Seating Plan. 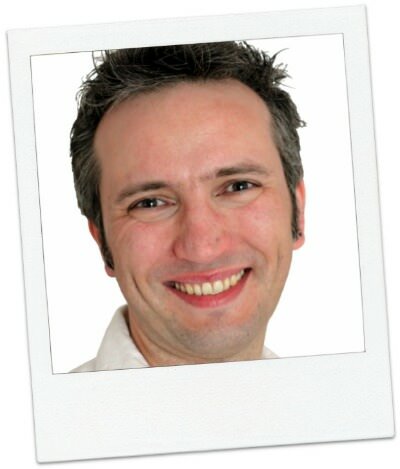 Having Met Adam on several occasions, I can say hand on heart that he is a lovely guy and really knows his stuff! I’ll pass the Blog Over to Adam with his 5 Top Tips for arranging your seating plan……………. This can often be the table that causes the greatest headache, so it’s best to start here. 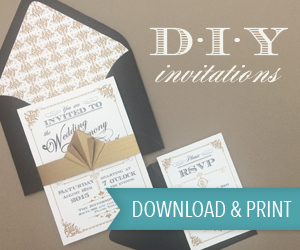 Don’t feel you need to stick to the traditional top table layout as there are plenty of alternatives. A sweetheart table for the just the bride and groom is becoming a popular choice. If you’ve got parents that are separated and can’t be on the same table, you may like to ask them to host a ‘VIP’ table close by. This also works well if they’ve got a new partner and there just isn’t room for everyone on the top table! Trying to get all your guests to neatly fit into exact groups of eight, for example, can be like getting square pegs into round holes. You’ll find arranging your seating plan much easier if you can use a variety of table sizes so ask your venue if this might be possible. Numbering tables can suggest a hierarchy with guests wondering why they’re only on table 9 whereas others are on table 3. Try to keep couples together wherever you can, especially if one of them doesn’t really know many other guests. Despite how tempting it might seem, never use your seating plan as an opportunity to match-make your single friends. It’s bound to be obvious and they may not thank you for it. It’s probably never a good idea to have a ‘singles table’ either! Smaller children should always sit with their parents but you might like to think about a separate children’s table for the older ones. Think about entertainment for your younger guests too – a two hour meal is a long time to expect them to sit still. Consider putting some colouring books and crayons or similar activity on the tables to keep them entertained for a little while. Their parents will certainly appreciate the gesture too! 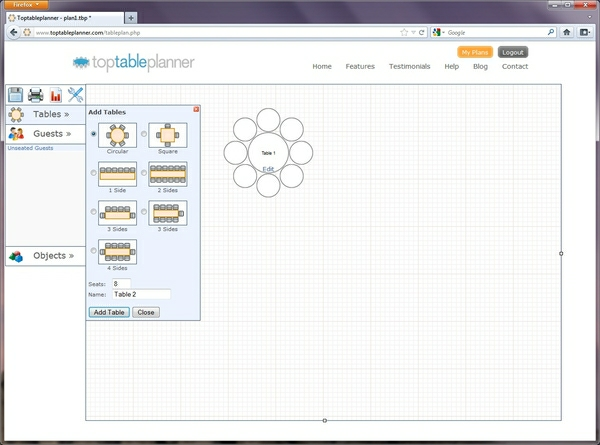 So what makes Adam such an expert on Table Plans? I asked him a few questions to find out! 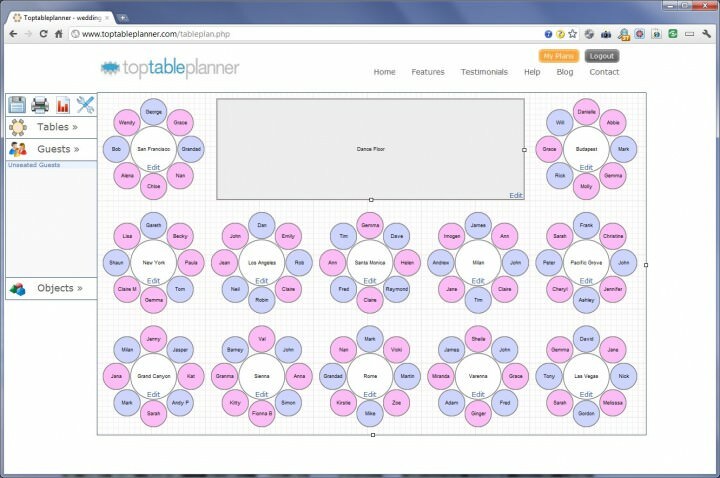 ‘I launched TopTablePlanner in 2007 having realised first-hand how tricky arranging a wedding seating plan can be. With a background in software development, I knew there had to be an easier way than writing out all the names on scraps of paper, and then losing half of them 15 minutes later! We are based in Leeds but Top Table Planner can be used anywhere in the world. 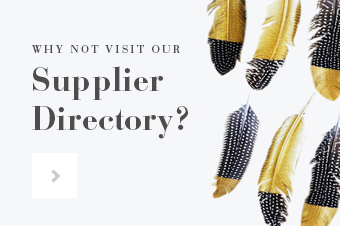 In fact, since we launched in 2007 we’ve had customers in over 90 countries! 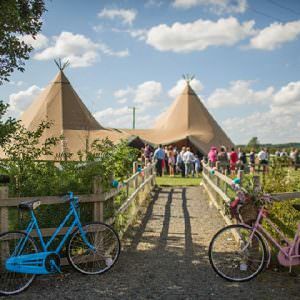 Being asked to help judge this year’s Wedding Ideas Awards was a real honour. 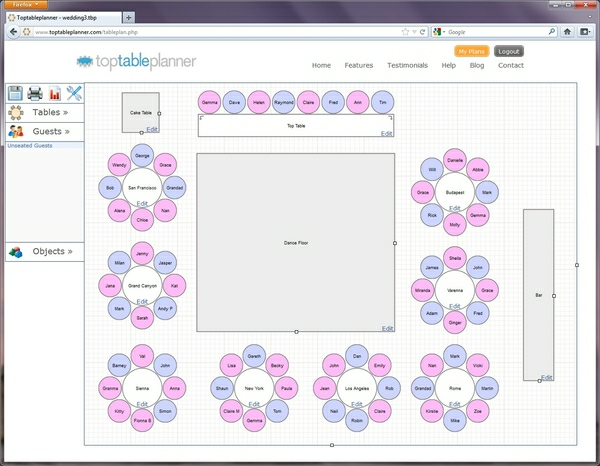 It’s a great event and they always use Top Table Planner to help them work out where their 400 guests are sitting. Knowing though that in the last six years we’ve helped plan the seating at thousands of events (hopefully preventing numerous headaches along the way) feels like a great achievement. We’re always updating the software, aiming to make it even better than it already is and hope that we’ll be able to prevent a few more seating plan headaches in the years to come. Ease of use is extremely important to us. Rather than adding lots of advanced features that the vast majority of users will never need, we strive to make the software as simple to use as it can possibly be. This helps users to get going straight away. 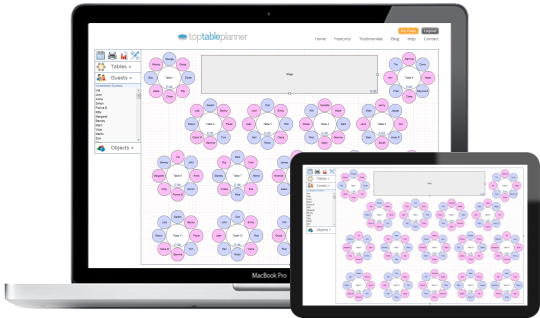 We’re also the only company we know of to offer a seating planning tool that lets users view and edit their seating plans on desktops, laptops and touchscreen mobile devices. This is crucial if you’ve created your plan at home and then want to make a few changes when you’re out and about or even at your venue! It costs just £10 for six months of unlimited access to the software. This lets you save up to five different plans at any one time. My iPhone. 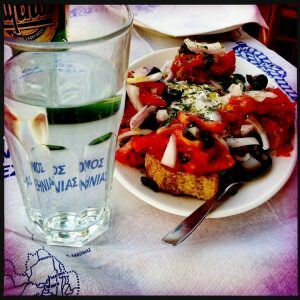 I can pretty much run the entire business from the palm of my hand and it wouldn’t be unheard of for me to be answering customer support emails in unusual locations – sitting on the pavement outside a Fedex office in Italy was probably the best! This is fab. I’ve been sent this on many occasions when making seating plans.